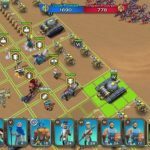 World of Tanks Generals is now available on the Apple App Store, and unlike the other World of Tanks games, it has yet to make its way to the Google Play Store. 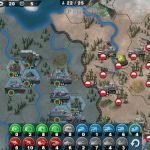 In this Wargaming.net title, you’ll get a chance to become a general, forming your own army and dominating the battlefields of World War II. Mechanics-wise, this is a card battling game, where you take part in tactical battles, playing the right cards and building the right deck. That deck will be built from a variety of tanks, artillery, and special orders, and you’ll also need to have a strong headquarters to help make your army more versatile, yet powerful. There are over 200 cards and 21 headquarters to collect, as well as 147 cards to research, 27 mercenary cards, and 12 premium cards. Lastly, as far as the description goes, you can choose from three available nations – the United States, Germany, and the USSR. That’s the game in a nutshell, but what about the gameplay? It’s a good thing you asked, because like all other card battle games, there’s so much to learn when it comes to strategy and tactics. And we hope to teach you a thing or two about that through our exclusive list of World of Tanks Generals cheats, tips and strategies. Before taking it to the humans, you will first want to take it to the artificial intelligence. And that means getting a feel for the game by playing the missions and completing them. Try each of the three nations in the game and pick the one you’re most comfortable with once you’re ready to take on human competition. All those three nations field tanks – the game isn’t called World of Tanks Generals for nothing – but they are all unique from each other. Get to know the nations, complete the missions, earn the rewards, but most of all, learn as you go along. 2. What Faction Should You Choose? 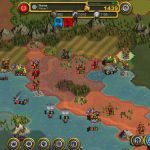 After playing as all three available nations, or factions, you may be wondering if you’ve chosen the right one as your favorite, or you may be stumped as to which nation is the best for you. Many have said that the Germans are not a very good choice, while the Americans and Russians are generally solid choices in battle. Still, it all depends on you, and which faction you are most comfortable and familiar with. If you stick to the basic deck for too long, you’ll get burned. That makes it important to research new cards for the nation/faction of your choice. Not all factions make use of Faction Points, but they all use money, and that’s the main reason why research is so important. Researching cards would allow you to get up to three cards of the same type, but once you’ve successfully gotten those cards, you’ll have to replace a few on your deck; you can only have a maximum of 30 cards at a time in your deck. Even if you cannot research them just yet, tap on the cards you’re able to research on, and come up with a research strategy. In other words, plan ways in which you can get your desired cards faster. If you’ve been playing for some time, you’ve probably noticed that grinding, or replaying levels or battles you have already won, will not be of any help to your cause. This procedure usually allows you to farm for money, experience, or whatnot, but in this game, the only thing that matters is how good you are at strategizing. This is, at the end of the day, a good thing, and we’re mentioning this to set your expectations – get ahead on skill, and not on how often you succeed at something you’ve already succeeded at. By tapping on the Info button next to your deck, you will see several statistics, such as the type of cards, how much they cost, how much power they require, etc. It’s not a good idea to have a deck that has too many expensive cards, and it’s not good either to have one that has too many weak ones present. When coming up with a winning deck, you want one that is balanced. This means balancing the Tank cards that can be set up on the battlefield to serve as your first line of defense (in other words, tanks serving as tanks in RPG/card battle jargon), those that you will use to heal other units, and those that you will use to deal direct damage against your opponents. You also should balance low-cost and high-cost cards alike, as we touched on above. 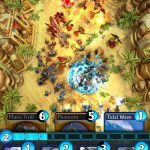 Some players do well by using a strategy involving purely low-cost cards – a “rush strategy” – but it’s way too dangerous, especially if you’re a new player. Think ahead of the game, and combine your low-cost cards with high-cost ones that inflict a lot of damage while not taking much on their end. If you lose to an opponent, then that’s fine. You can’t expect to win ‘em all, right? But what you can do is to take note of what your opponent did right, and take stock of your mistakes – what did you do wrong in the battle? You may have to replace old cards with new ones as well, but not right away – who knows, they may still have some use for you after all in subsequent battles. There are so many ways you can guarantee a winning battle most, if not all of the time. But we’ll just stick to a few of the better tactical strategies. One thing you can do is to corner the enemy headquarters. If all your tanks take up the three squares near the enemy HQ, they won’t be able to play tank cards. Second, you should play high health cards before the others, as it’ll usually take about two turns or more for an opponent to get rid of them. Lastly, you may want to attack with that high health card first, and once the target card uses its retaliation, you can then send out a high damage card, without it having to take any health loss.